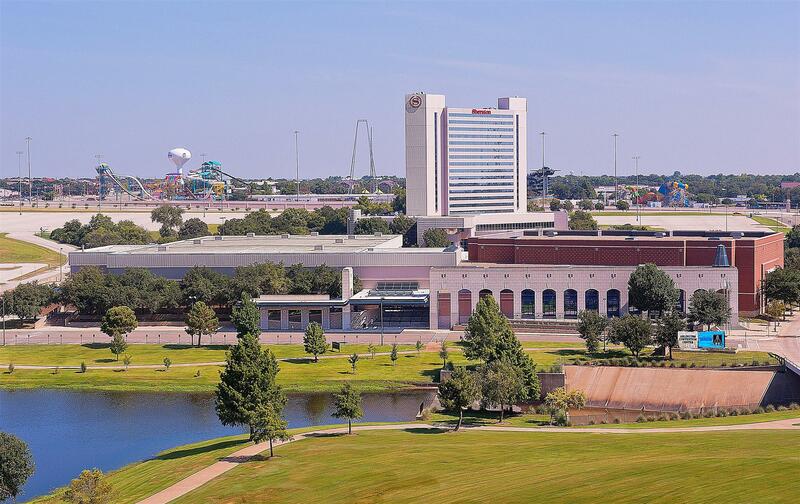 Next to the Arlington Convention Center, this upscale hotel is 13 minutes’ walk from sporting events at Globe Life Park and 2 miles from the Six Flags Over Texas theme park. Airy rooms come with free WiFi, flat-screens, and desks. Suites add mini-fridges and wet bars, plus seating areas with pull-out sofas. Club rooms provide access to a lounge with perks such as all-day snacks. Kids stay at no charge with an adult. An airport/area shuttle and parking are complimentary. There’s a restaurant and a lobby lounge, as well as a fitness center, outdoor pools and a hot tub. Other amenities include meeting rooms and a business center.